On April 30, 2015, Ontario passed Bill 17, entitled the Protecting Child Performers Act; on May 5, 2015, Bill 17 received Royal Assent, and so, by its terms, the Act will come into force in February 2016 (nine months from Royal Assent). As set out in Section 2 of the Act, its purpose is to “promote the best interests, protection and well being of child performers”. The text of the legislation as passed can be accessed here. The Act changes in critical ways the obligations of Ontario employers of children in the entertainment industries. The particulars are set out below, but the “big picture” summary of the Act is that it extends to all child performers in a wide range of entertainment activities the types of working condition protections which have historically been associated with the collective agreements of performers’ unions and guilds, such as ACTRA. It is impossible to avoid the minimum protections afforded by the Act, but where an employment contract, collective agreement or other statute applies directly to a matter addressed by the Act and the provision in the employment contract, collective agreement or other statute provides “a greater right or protection to a child performer, the provision in the employment contract, collective agreement or other [statute] applies” and thus “trumps” the application of the Act. In short, a child performer can contract for better protection than that provided by the Act, but cannot contract for worse protections. Script Disclosure. A copy of the portion of any script relating to the child performer’s services must be provided to the parent/guardian prior to the commencement of production. Clean Criminal Record. Section 22 of the Act requires that “prescribed individuals” (to be defined in the Act’s regulations) who “may be required to be alone with child performers” must have a “clean criminal record” (to be defined the Act’s regulations). The Act is silent on why this requirement applies only to the live entertainment industry but not to the recorded entertainment industry. As readers can see, the Act imposes a raft of obligations on those who engage child performers in the live and recorded entertainment industries. While there is some overlap with existing union/guild requirements, there are also new statutory obligations which go beyond what might otherwise be required under an applicable collective agreement. Those engaging child performers must therefore take the time to familiarize themselves with the Act and determine what additional steps, if any, they must take to be in compliance. Everybody likes a “cheat sheet” which clearly summarizes the differences between various options – and now the Dentons Media and Entertainment practice team has prepared one to assist producers and their counsel in choosing between the various “structures” for producing film and television content in Canada: click here to access an online version of our Comparison of Canadian Content, Production Services, Co-Ventures and Treaty Co-Productions – there is also a .pdf version which can be downloaded from the same page. The October 4, 2014 Canada Gazette (being vol. 148, no. 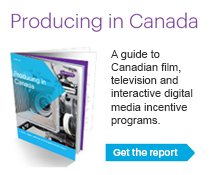 40), contained something of note for Canadian film and TV lawyers: amendments to the Income Tax Act regulations which govern the “Canadian content” tax credits for audio-visual productions. The full text of the amendment in the Gazette can be accessed here. Before the October 4, 2014 amendments, it was not entirely clear who was to be considered an “owner” of copyright in a production, and there was further uncertainty regarding whether licensing someone exploitation rights or granting them a right to share in the revenues of a production could make them qualify as an “owner” of “copyright”. That led to confusion surrounding how to properly structure ownership, licenses and revenue participations so as not to inadvertently fall afoul of the regulations (and thereby render the production ineligible for “Canadian content” tax credits). The confusion was further compounded by some inelegant drafting. 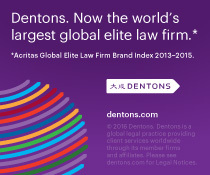 the list of “prescribed persons” has been expanded to include Canadian individuals, Canadian taxable corporations, and partnerships of prescribed persons. The amendments will take effect forty days after October 4, 2014 (so, November 13, 2014), and will not be retroactively applied to any production if before November 13, 2014 (a) the Minister of Canadian Heritage has revoked or refused to issue a certificate of completion for it or (b) the Minister of National Revenue has assessed a return of income on the basis that the production is not a Canadian film or video production and that assessment’s basis is not vacated or varied on or after that date. Fine. Now Say Something Really Nerdy. These amendments do something interesting with the term “maker”, which is defined in the Copyright Act as “the person by whom the arrangements necessary for the making of the work are undertaken”. The amendments, in the way that they define “copyright owner”, seem to imply that the “maker” of a production is the first “owner” of copyright in the production – however, a close reading of the Copyright Act reveals that the term “maker” is something of an analytical dead-end: being the “maker” of a production has no bearing on the ownership or authorship of that production for copyright purposes. In other words, by trying to tie “maker” and “owner” together, the amendments do something that not even the Copyright Act does. It’s not a problem – ownership for copyright purposes and for tax purposes can be different things – but it is interesting to note that the regulatory instinct is to rely on “maker” status in a way which is not present in the underlying copyright regime.